"Readers of Galilean Electrodynamics will remember Professor Hoff Lu from a significant paper on the testing of Mach's Principle by re-evaluation of data that was first taken by Ives and Stillwell in 1937 and 1938. "After recently suffering a series of heart attacks, Prof. Lu died on February 13th of this year. He was a few months shy of his 83rd birthday. 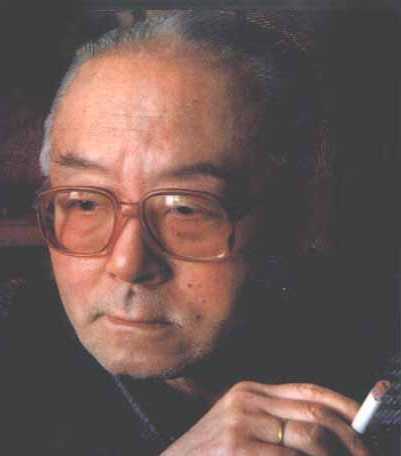 Professor Lu enjoyed a long and distinguished career as a nuclear physicist at Fu-Dan University in Shanghai, and he was a highly respected member of the Chinese Academy of Sciences. His work ranged far beyond nuclear physics, and he was not afraid to look beyond the boundaries of establishment physics, as evidenced by the above-mentioned paper in Galilean Electrodynamics. "I spent several days with Professor Lu last February at his modest apartment in Shanghai. Naturally we discussed physics, and together moaned over the plight of modern physics wherein common sense takes a back seat to elegant theories. He tried to explain to me some of his recent work on hot, dense plasmas. I tried to explain to him some of my ideas about the properties of the ether and possible explanations for magnetism. I complained about the wave-particle duality, and he suggested that I read Land?. And so it went. "But we did not take ourselves too seriously. We enjoyed some pleasant meals together, and watched Beijing Opera on TV. I thoroughly enjoyed the priviledge of spending some time with him, and I came away feeling that I had been with a real scholar and a gentleman. Right to the end Professor Lu was reading widely in whatever topics in physics were of deep interest to him, and he was generating new, insightful ideas many of which are now lost to us." - Lee Shimmin, Galilean Electrodynamics, V8, N4, p. 79 (Jul/Aug 1997).